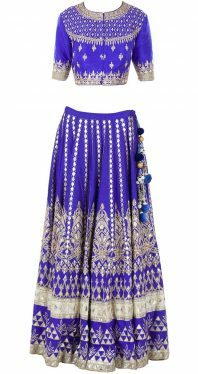 India is famous all over the world for its rich culture and traditions, extending from one region to the other area of the subcontinent. 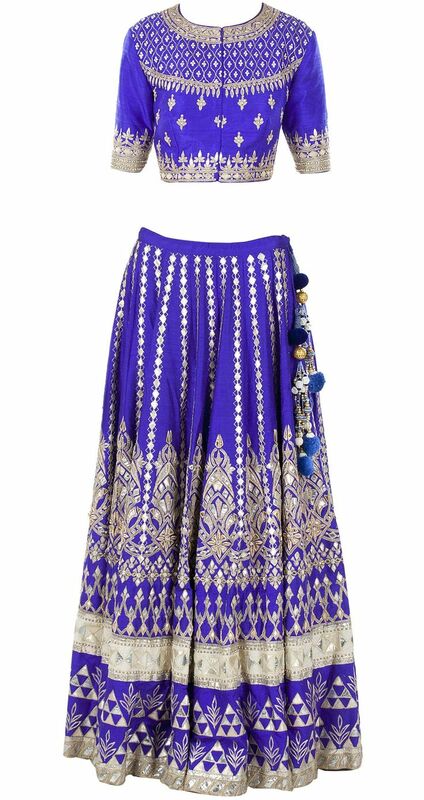 It is a land of multitudes of cultures and customs. 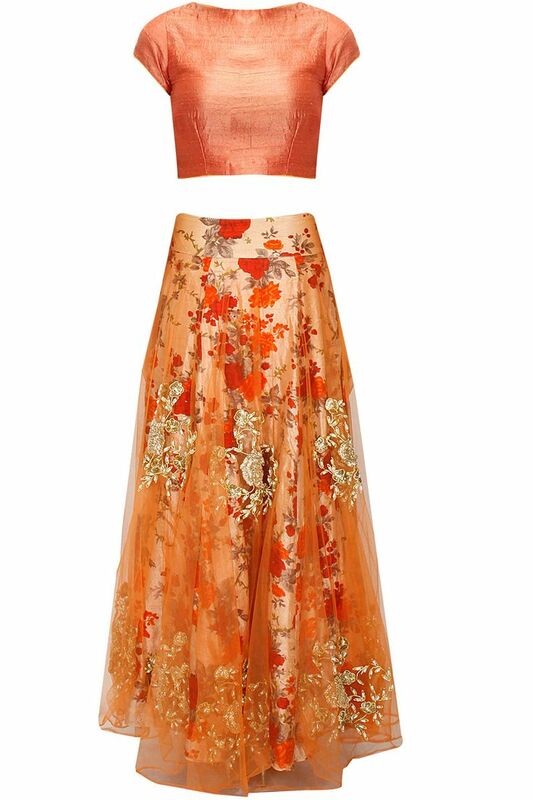 When it comes to various occasions, dressing traditionally is somewhat more widespread. 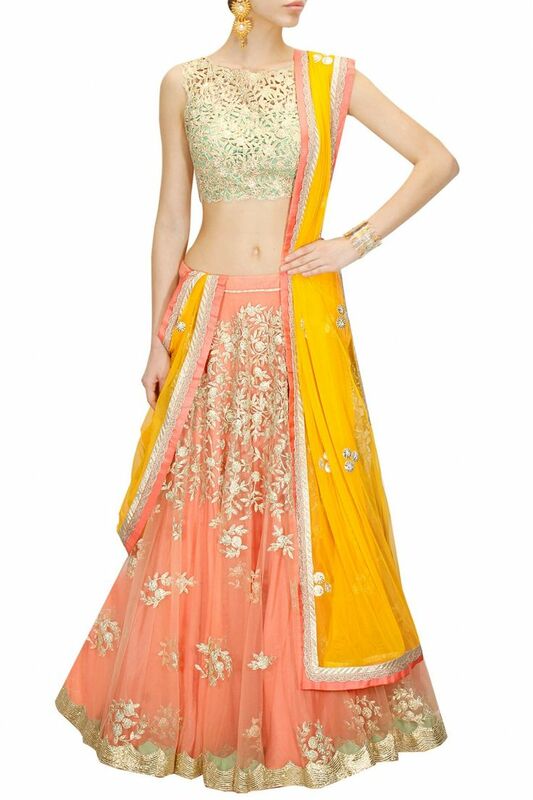 To enhance your ethnic look, lehenga cholis are always considered as the quintessential part of the women’s attire. 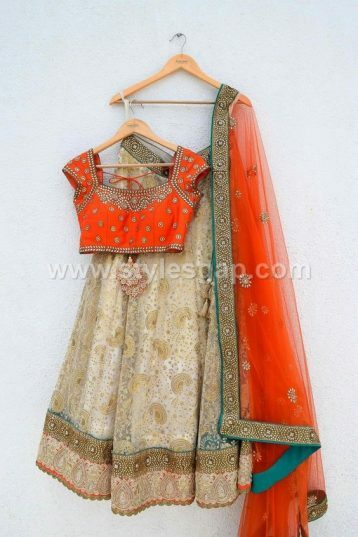 From circular flare lehnga to mermaid style to the sharara cut, wearing lehenga’s adds to the grace of the Indian women. 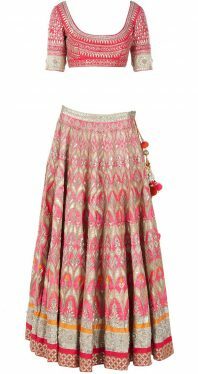 However, the trends vary time to time. 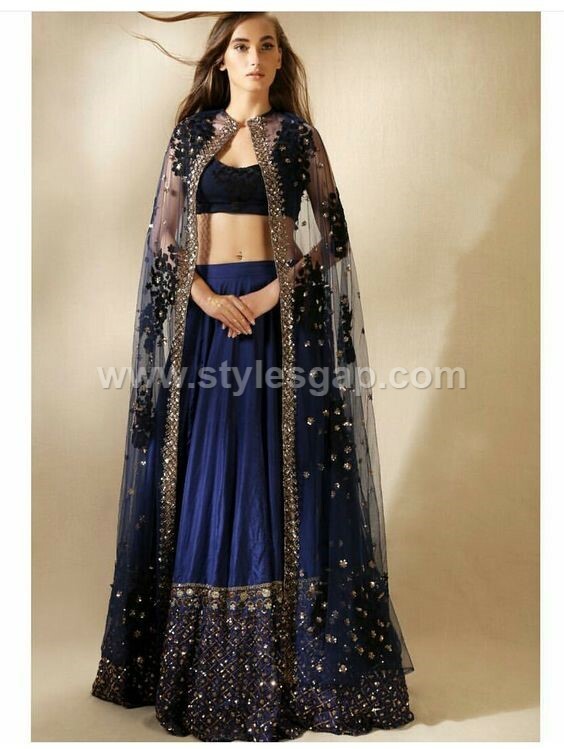 This year’s fashion trend brings the best of the choli styles that seems to be the epitome of elegance and beauty. Today we will share the Latest Lehenga Choli Trends Designs for Pakistani & Indian Fashion. 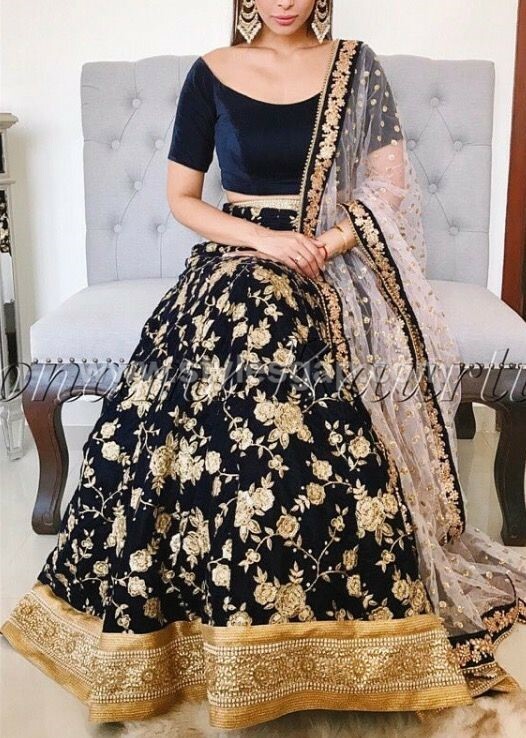 Whether to opt for the circular flared lehenga or fishtail lehenga, panelled Lehnga, A-line Lehnga, Sharara cut lehenga or straight cut lehengas; lehenga’s with the jacket or half saree lehenga is one tough decision to make. 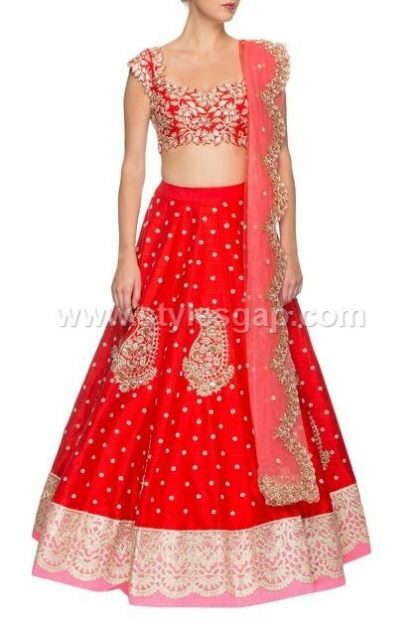 This article gives you the insight of the latest and best of the lehenga choli trends from formal to party wears and bridal wears. Top of the list comes to the long trail lehnga. 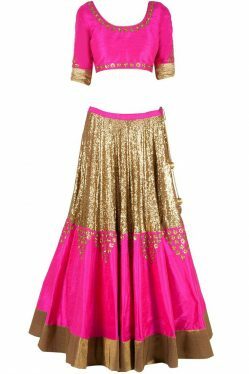 A lovely long trail adds a little glamour and richness to your lehenga and makes it look like the finest piece of designer couture. 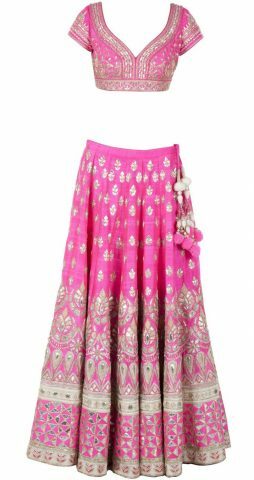 The one trend that is gaining much popularity these days is carrying flared lehengas with jackets; you can opt for the long as well as for the short jackets with cholis. 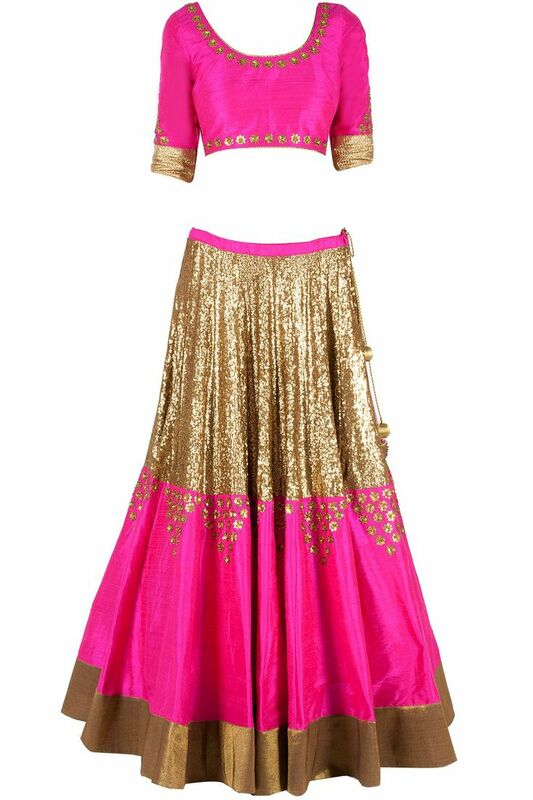 Delicate silk or velvet jackets with beautiful gold or silver work of embroidery and embellishments significantly enhance the ethnic outlook of your lehenga. 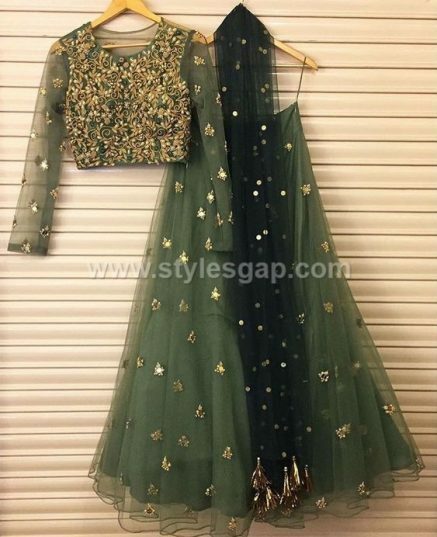 Either you want to look trendy at the wedding, walima or other festive occasions, or you want to look super stylish, this is a great option for you. 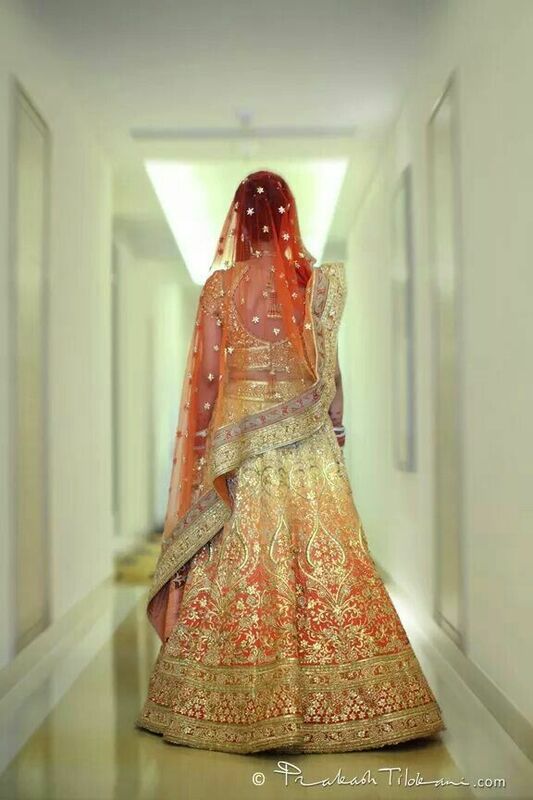 Long ankle length jackets are also greatly in fashion. The jacket can also be in silk or crepe. 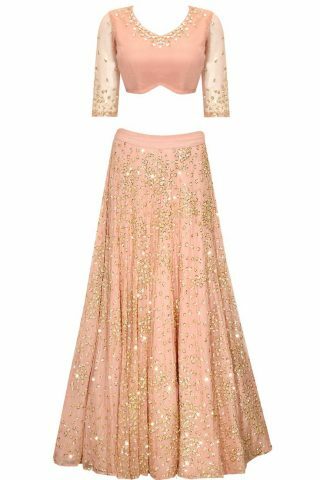 It’s not just latest hair colour trends or nail polish trends that be getting ombre in style, but the lehnga’s these days are also going to have a delightful little touch of ombre with beautiful colour blends. 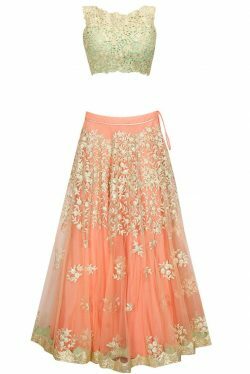 Designers like Satya Paul or Gaurav Gupta even seems to be having many of the ombre lehenga cholis in their latest collections. 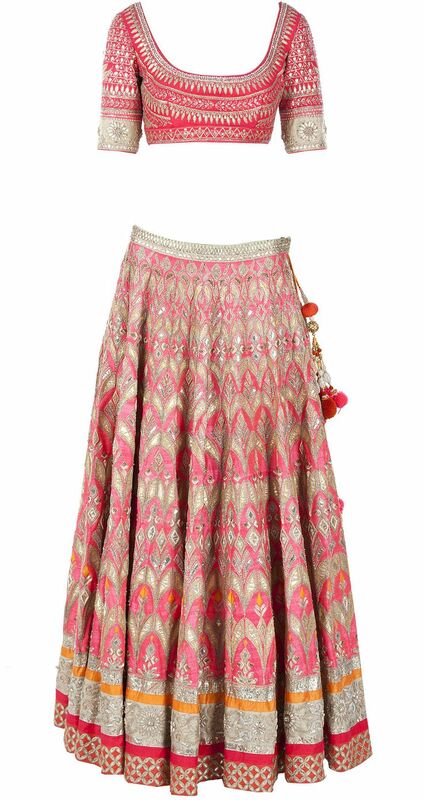 These are comparatively new to the trend but still much in demand and popularity. 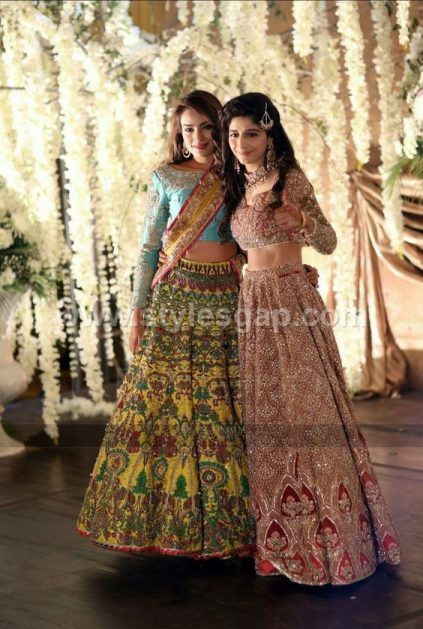 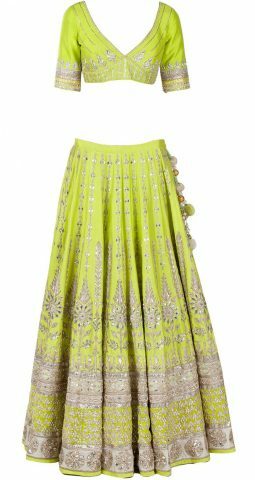 If its sangeet ceremony or a Mehndi event, neon ghagra’s are the one you should be considering. With the pastel coloured cholis, this neon ghagra’s given a perfect traditional outlook. The single trend that can never go out of fashion is the Anarkali lehenga. 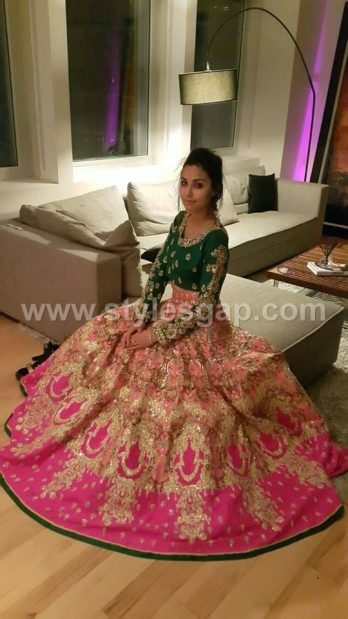 In every era, this type of lehenga is always loved by all. 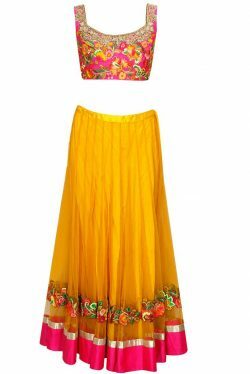 In this, the cholis sewn with the Anarkali giving it a full foot length with the lovely gown like outlook. Anarkali lehengas are very much popular these days in India and the middle east. 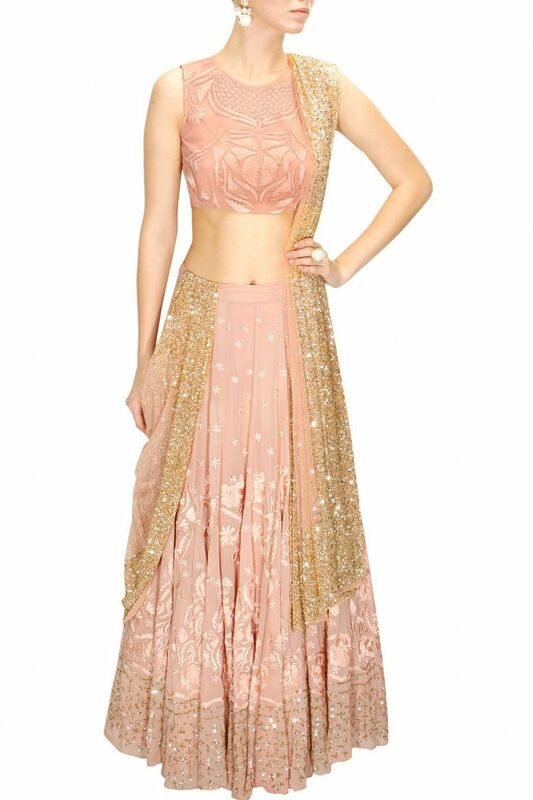 For a perfect bridal outlook, Royal Lehenga could be the one you should opt. With red, burgundy or bright gold shades and detailed work of Gotta Patti and zardori, these stunningly beautiful royal lehnga cholis are a perfect choice for your day. Pakistani & Indian Latest Lehenga Choli Trends Designs Collection! 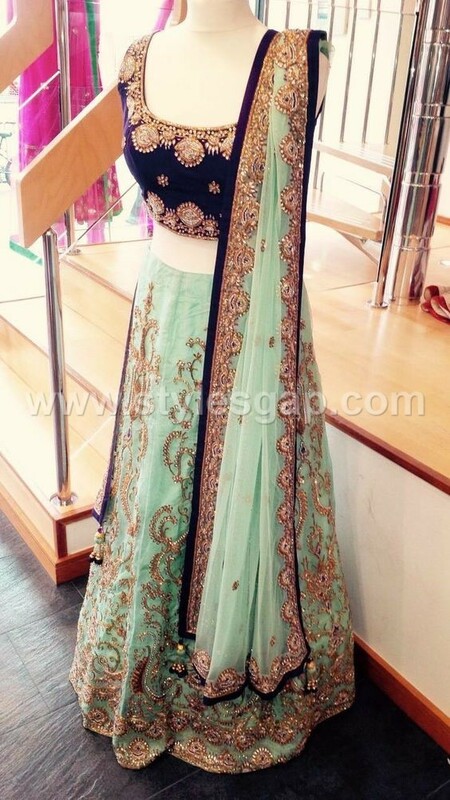 Here we have gathered some of the best & latest lehenga choli trends designs for you. 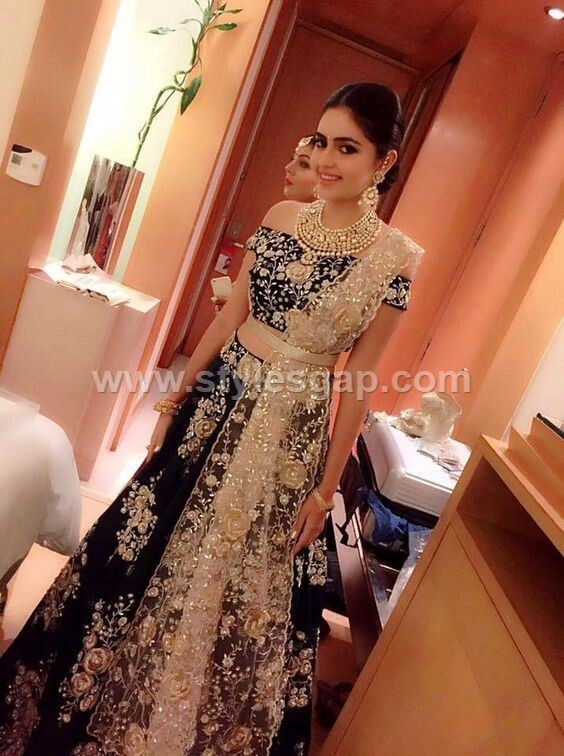 Have a look at the below-posted image gallery and get inspired. Pick your favourite lehenga for your upcoming event, party or a wedding. 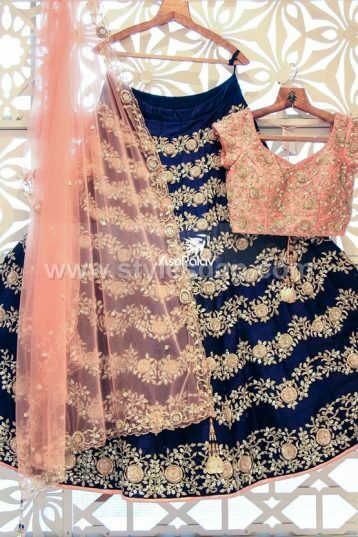 I Hope you will like this post. 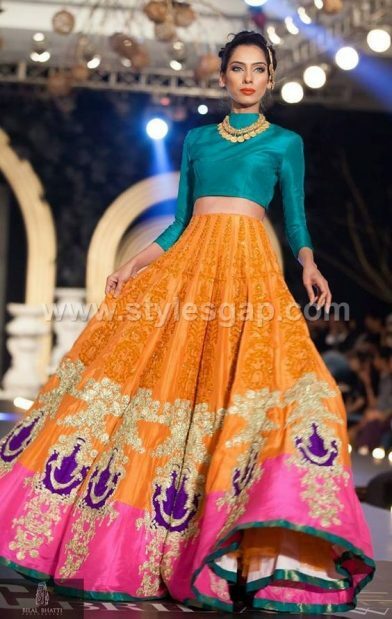 for more updates on fashion keep visiting us.